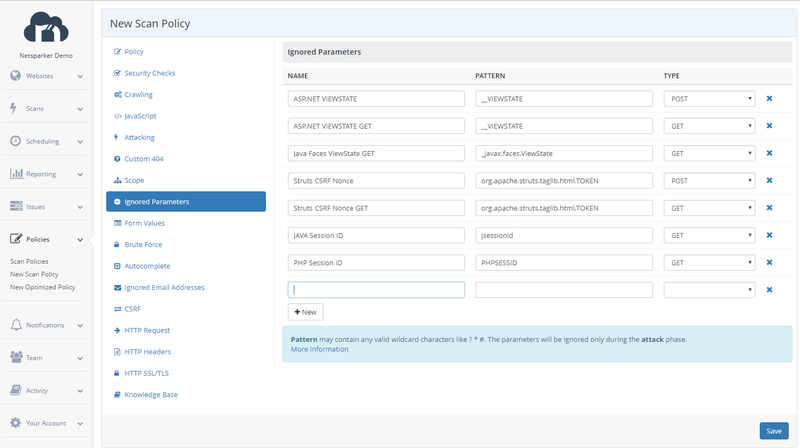 This FAQ explains how to exclude any type of parameter from a scan with both Netsparker Desktop and Netsparker Cloud online web application security solution. You can exclude parameters from scans. Each default Scan Policy contains a list, Excluded Parameters. You can edit existing excluded parameters or add new ones. For each parameter, Netsparker displays the following definitions. Pattern This is the actual name of the parameter to be excluded from the scan. Pattern matching is case sensitive, so use the correct capitalization. 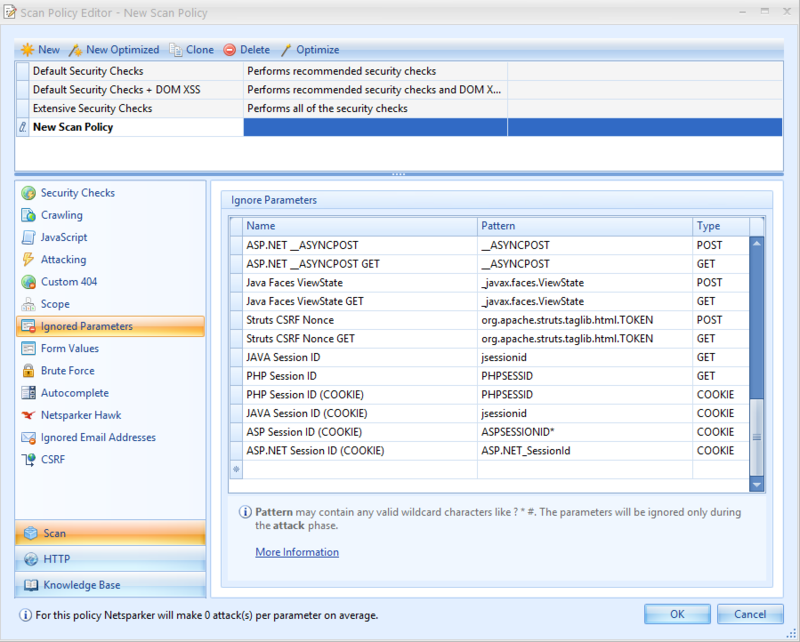 From the Policies menu, select New Scan Policy, then Ignored Parameters. In Netsparker Desktop, click OK. In Netsparker Cloud, click Save.